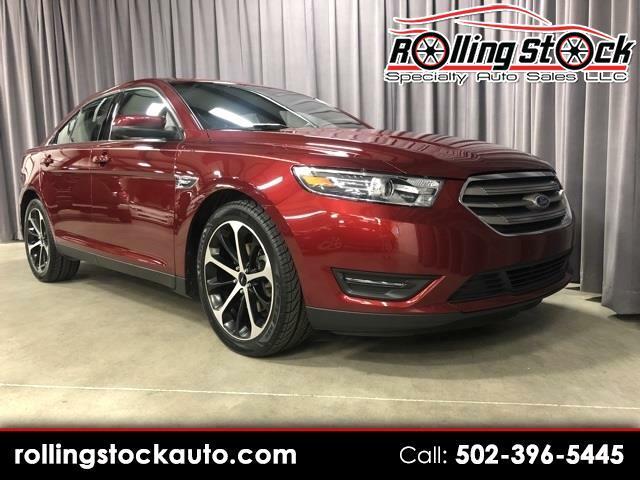 2015 Ford Taurus SEL- Local 1 Owner New Car Trade, Clean Carfax History Report with Documented Service Records. Options Include, Equipment Group 201A Heated Seats, Rear Spoiler, Voice Activated Navigation System, Power Moonroof, 20" Gloss Ebony Wheels and Leather Seating. This Vehicle is Absolutely Like New and Ready for Your Inspection at My Louisville Indoor Showroom. Please Contact Cary Donovan 502-396-5445 to Schedule Your Appointment.